Everyone loves the mega million dollar day idea. It’s easy money. It’s success in a bottle. 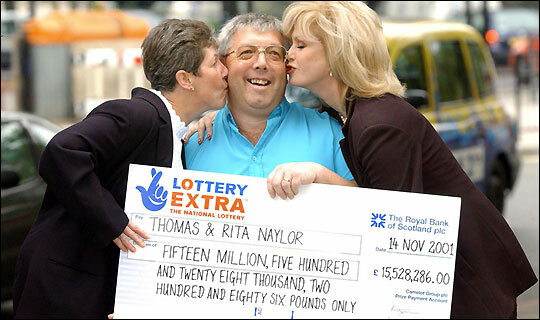 It’s the lottery win – instant riches and glory. Living as though you’re going to ‘suddenly succeed’ is very tempting. After all it means you can be lazy. and sporadic – now that’s fun – and easy. You do what you should only when you feel like it. When you feel like it, that’s when you study, that’s when you pray, that’s when you spend QT with the wife and kids, that’s when when you excersize. It’s fun that way. Success through investing means work. It means putting in the time. It means developing character. It means having strong faith. Above all perhaps, it means – being consistent. Whoa…not the ‘C’ word right? Being consistent is boring, tedious, predictable – But it pays off. display the commitment that people trust. Getting a black belt in Karate isn’t about learning a thousand different moves. It’s about doing just 10 moves a thousand times each. Now go do something. Again. P.S. Of course it’s not just about consistently working hard…it’s about consistently working smart – but that’s another post.